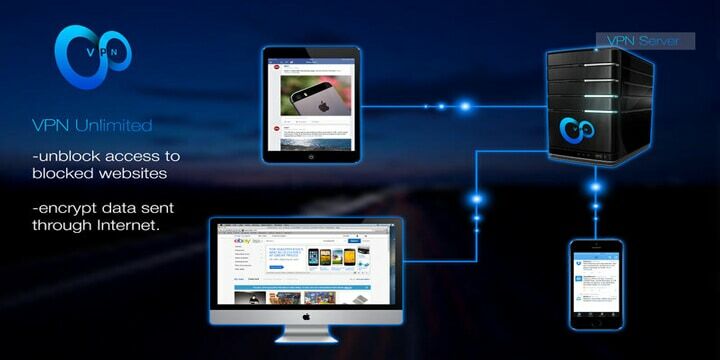 VPN Unlimited is a somewhat affordable VPN solution brought to you by KeepSolid. This VPN service provides industry-standard security, and it makes it easy to keep streaming your favourite shows and music online. It offers some unique features, and it does a few things that are not available with some of the other best VPN’s on the market. This Keep Solid VPN review will dig deep into the New York-based VPN company and see if they are a real contender. With a network of 400 servers and covering 70 locations, VPN Unlimited is a middle of the road provider when it comes to network size. What it does do is include some obscure server locations that some market leaders don’t such as Africa, Mexico, Turkey, South America and the Isle of Man. There is good news as VPN Unlimited has servers that are dedicated and optimized for Netflix access, and not only do they work with Netflix, they also works with the BBC iPlayer and Hulu streaming services which even eludes many top VPN’s. Torrenting is allowed, but only on 5 servers, so access could be slow on occasions. P2P servers are located in Romania, California, Ontario, France, and Luxembourg. It is handy to know that there is unlimited VPN bandwidth to use for torrenting. One drawback of this VPN is there is no inclusion of a Kill Switch, and this could be one reason during testing we found DNS leak, Web Traffic (WebRTC) and IPv6 leaks. So, it appears their ‘Stop DNS Leak protection’ feature is somewhat broken. VPN Unlimited uses the OpenVPN protocol on Windows and Android, with AES 128-bit and AES 256-bit encryption. IPSec IKEv2 protocol is used on Mac and iOS, with AES 128-bit encryption. Device support covers most of the major platforms: Windows, Mac and iOS, Android, Linux, Apple TV, and Windows phone. Routers can support the service via manual setup, or you can order a VPN router from the company’s website. There are also browser extensions Chrome and Firefox. There is a censorship test that users can run from within the client, this scans for sites that are blocked in the users country/ location, and it can be run once per week. Users who take part gain an extra day of service to their account. When running speed tests, it was a mixed bag, and while above average when connecting around Europe, but the USA dropped off considerably, as did servers in Asian regions. It was also found that some servers wouldn’t connect, this was a random occurrence and probably down to server congestion, but for a fix, it wasn’t possible to find one. This isn’t what you expect from any leading VPN services. The client interface is simple to use, and it only takes a click or two for anonymous browsing. On the sidebar, there is access to most things a user might be looking for. Customer service might only be email, but compared to a lot of other VPN companies, they are lightning fast. 20 minutes for a reply by email is as quick as you can ever hope for, and it is a welcome surprise they have improved so much. It is a shame, they don’t expand and include live chat. With what they claim as a Zero logging policy, Unlimited VPN monitors how people are accessing their servers for security and troubleshooting purposes. This can be seen as normal, but then they also track session length and bandwidth usage. This they say is for “Providing detailed information intended solely for each concrete user.” What this actually means is unclear, but they don’t get any points for doing it. The KeepSolid VPN Unlimited pricing offers two plans, the first being for 5 device connections, and the second for 10 device connections. Here is how it all breaks down. Yearly $7.50 per month and billed as $89.99 per year. All the major payments options are available, this includes Credit Cards, PayPal and Bitcoin for those anonymous payments. It is also worth noting that once you’re signed up, “auto-renew” is turned ‘ON’ by default. Unless you have every intention to carry on using the service, you should set this option to OFF. Users are also entitled to the 7-day free trial, and the 7-day money back guarantee. 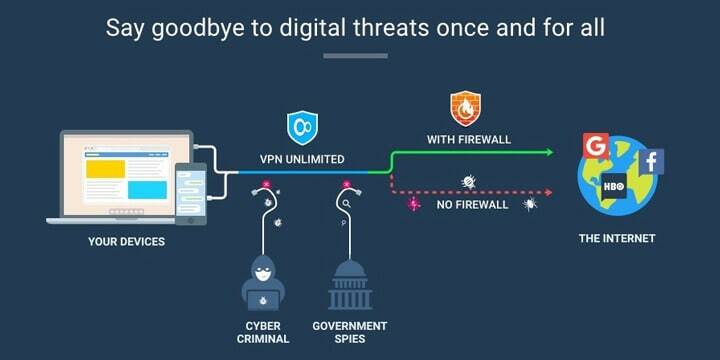 It is also worth noting that the VPN Unlimited lifetime plan appears good on paper, but it will take around 6 years before this type of VPN Unlimited account becomes beneficial compared to other VPN providers. VPN Unlimited offers the option to purchase a personal VPN server. This gives access to dedicated traffic and comes with 1 terabyte of monthly data transfer and up to 1GB/s connection speeds. This would mean no slowdowns, but unless you permanently want a server in a given location, you may end up paying for something you are not getting full use out of. There is one quirk of the device structure, and in essence, it isn’t 5 devices you can connect. It is 5 slots you are able to use and allocated to devices or extensions. So, if you were using the Windows client and a browser extension, you will have used up 2 of your 5 allocations. Although the service looks good on paper, when we dug more in-depth with the VPN review, there are just too many wrong things, or not working to give them a wholehearted recommendation. Logging, DNS leak protection failure, slow speeds, and a dubious marketing tactic of Infinite VPN with a lifetime subscription, and near perfect user reviews can all cast a shadow over the company. One of the most significant downsides is the lack of Kill Switch, this should be one core component with any VPN. On the whole, just another average VPN provider who wins in some departments, but fails in others.